Hot or fast hatchbacks are not all that common in India. Sure we have some manufacturers like Fiat and VW that have gone down this path. But so far these fast hatches with engines churning out over 100PS have not achieved any real commercial success. So when India's biggest and most successful carmaker Maruti Suzuki launches a car like the new Baleno RS, does it mean The Times They Are A-Changin'? The Maruti Baleno is a big success and there is still a long waiting list for it. Despite this, Maruti has gone ahead and launched the Baleno RS with the more powerful Boosterjet turbocharged engine. This is surely an indication of Maruti's intent to now also promote cars with higher performance. Auto enthusiasts have always been fans of fast hatches, but maybe some of our consumers are also finally ready for them. The most likely rival for the Baleno RS is the Volkswagen Polo GT TSI. Both have engines generating over 100PS and both also have other variants with lower-powered engines. The Baleno RS's 998cc, 3-cylinder engine delivers 102PS and 150Nm of torque, which is less than what it makes in some international markets. This is because of our inferior quality of fuel, due to which Maruti has had to detune this Boosterjet engine. 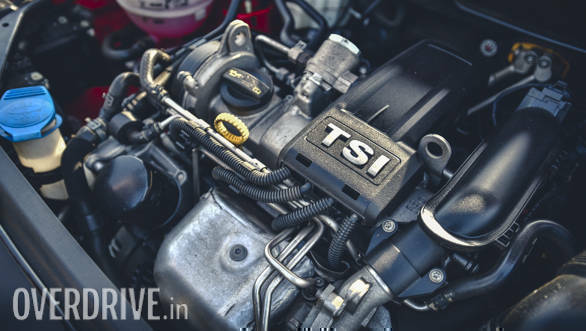 The Polo GT TSI has a bigger-capacity 1,197cc 4-cylinder engine which produces 105PS and 175Nm of torque. While this is slightly more than the Baleno, the Polo weighs 159kg more and due to this the Baleno has a far better power-to-weight ratio. Interestingly, the Baleno RS weighs more than its 1.2-litre petrol sibling, and this despite its smaller-capacity 3-cylinder engine. Maruti says this is because it has stiffened the chassis to better manage the extra power. They also say they stiffened the suspension to deal with the additional weight and enhance handling. 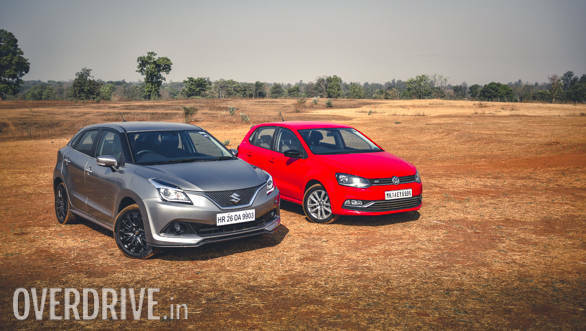 Look at the Baleno RS and Polo GT TSI and one thing is obvious. 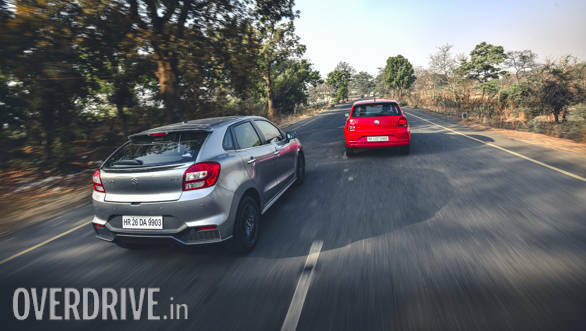 While Maruti has made some effort to distinguish the Baleno RS's looks, Volkswagen in comparison has done nothing apart from changing the badging. When you buy a more powerful version of any car, you want it to look different. You want it to look faster than the regular one. Maruti has done well by giving the Baleno RS a smart body kit consisting of a neat front air splitter, slim side skirts and a neat diffuser-type lip spoiler on the rear bumper. The front and rear bumpers are also different, and the Baleno RS has blacked out headlamps, black alloy wheels and a slightly different grille. The styling changes may be subtle, but they help distinguish the Baleno RS from its regular siblings. While both the Baleno RS and Polo GT TSI are sub-4 metre hatches, the Baleno is slightly longer (3,995mm) than the Polo(3,971mm). The Baleno is also much wider (1,745mm) than the Polo (1,682mm), and due to this it's far more spacious and comfortable. The Baleno also has more boot space (339 litres) than the Polo (280 litres), and at 170mm its ground clearance is also slightly more than the Polo's (165 mm). Interestingly, the wheelbase (2,520mm) of the Baleno is much longer than that of the Polo (2,469mm). In fact, it's 51mm more while the difference in overall length between both cars is just 24mm. 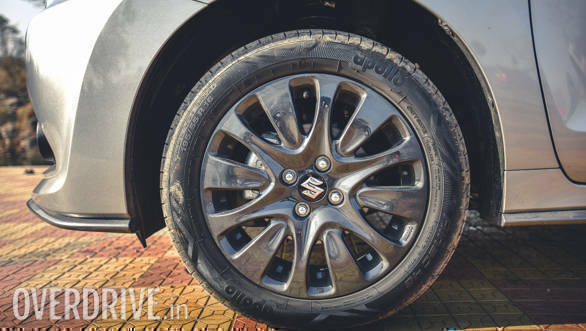 This shows that Maruti has pushed the wheels closer to the four corners of the Baleno, and thanks to this it has managed interior space in a better manner. 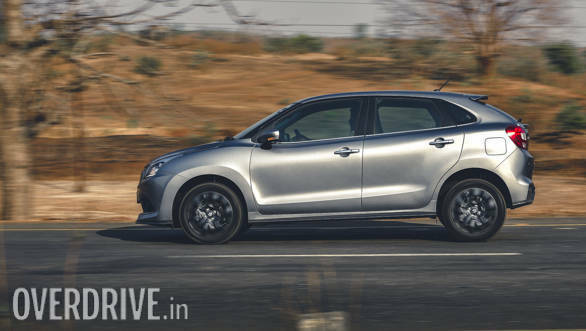 The longer wheelbase also gives the Baleno better stability. Given all this, the Baleno RS certainly scores over the Polo GT TSI in practicality, space and comfort. On the inside, both the Baleno RS and the Polo GT TSI are very similar to their siblings, which is a bit disappointing. Since they are the more powerful versions, the least they should have had is more sporty seats with better bolstering to prevent you from moving about during hard cornering. The Baleno RS has all the features of the top-end Baleno version, including a colour multi-information display, SmartPlay infotainment system with Apple CarPlay and Android Auto, navigation, voice command, steering-mounted controls, dual front airbags and ABS with EBD. The Baleno RS also has auto headlamps, keyless entry and push-button start, and rear-view camera. What is also very nice is that the Baleno RS's windows have a slight tint, and this helps in keeping the cabin cooler, especially in the really high temperatures that we are experiencing this summer. 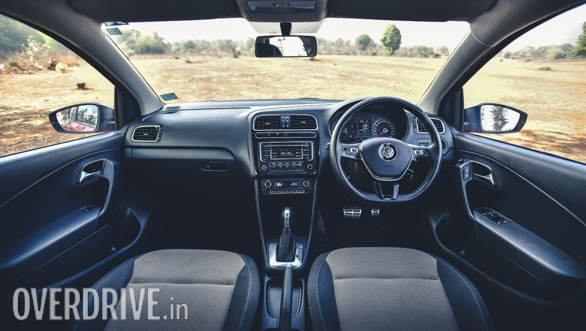 The Polo GT TSI does not have as many features but it has a nice sporty flat-bottom steering wheel with audio controls. 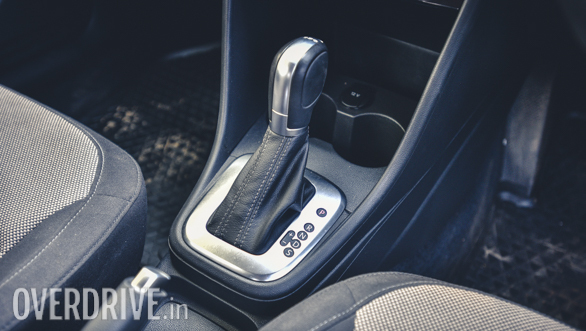 It also has features like Bluetooth and voice command, auto wipers and cooled glove box. The Polo GT TSI also comes with hill hold assist, dual front airbags, ABS and cruise control. The big difference is that the Polo GT has Electronic Stabilisation Programme (ESP) while the Baleno RS does not. This feature is, of course, very useful and a good safety aid on public roads. But on the track, it can be irritating if the system is set up to keep interfering and cut power every time any of the wheels loses traction. Another major difference is that the Baleno RS's engine is mated to the same manual 5-speed gearbox that you get on the regular versions. 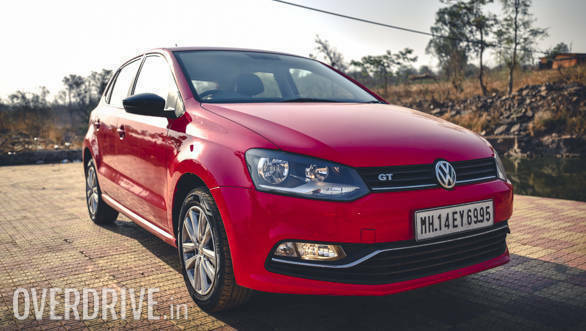 While the Polo GT TSI channels the power through a 7-speed advanced DSG gearbox. This gearbox also has Sports and Manual modes, but sadly there are no paddle shifters. Put the show on the road and the fun starts. The Maruti Suzuki Baleno RS gets off the line briskly with just the slightest hint of turbo lag. It revs willingly and is surprisingly smooth for a 3-cylinder unit. Above 5,000rpm, it does become lot more audible, but not to the point where it gets intrusive. The 1.0-litre Boosterjet engine is at its energetic best between 2,000-5,000rpm and the drivability is very good. The Baleno RS takes 9.7 seconds to get to 100kmph, which is quite impressive. 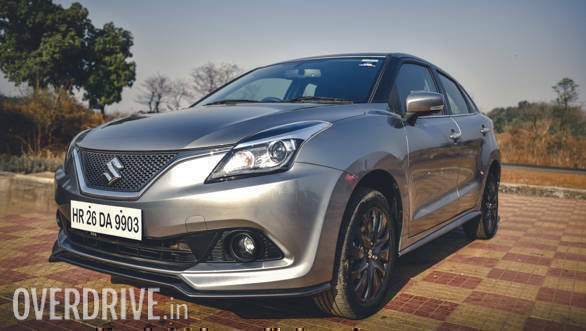 But push the Baleno RS hard and the 3-cylinder engine is fairly vocal, and beyond 5,000rpm to its rev limit at 6,000rpm, it loses some urgency to accelerate. Given this, it's best to upshift at around 5,000rpm. The Volkswagen Polo GT TSI is also quite an athlete. The DSG automatic gearbox does a good job of concealing any turbo lag and delivers the power in a linear manner. The engine is also happy to rev, and higher in the rev range it's not only more quieter than the RS, but its additional cylinder and greater cubic capacity make it feel more responsive and punchy especially after you cross the three-figure mark. 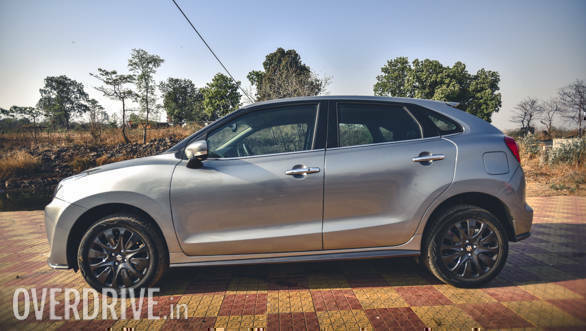 In the Baleno RS, after the initial sprint, you do get a sense that it's running out of breath. But the Polo GT TSI retains its energy levels right to the redline. Despite the fact that the DSG gearbox does not allow you to properly launch the Polo GT TSI, it takes 10.2 seconds to get to 100kmph. The Baleno RS has disc brakes on all four wheels while the Polo GT TSI has discs at front and drums at rear. Maruti needs to be complimented because they not only put in a more powerful engine but also went the extra mile to rein it in by having discs at both front and rear. Given this you would expect the Baleno RS to stop in a shorter distance. Surprisingly this is not the case. From 100kmph, the Baleno takes 43.5 metres to come to a halt while the Polo GT TSI, despite having drums at the rear and being heavier, stops in 42.9 metres. We feel this is because the ABS on the Baleno RS is over enthusiastic and comes into play very early. The ABS on the Polo GT TSI appears to be better set-up and does not intervene until it's really required. Nevertheless, both cars stop as well as they run. They also exhibit fairly good high-speed stability and fine driving dynamics. Surprisingly, the Polo GT TSI has a softer suspension set-up than the Baleno RS. It appears that while Volkswagen has focused on making the ride of the Polo GT TSI more comfortable, Maruti has aimed to make the Baleno RS handle better. So while the Polo turns in quite sharply, it also depicts a bit of roll. But the good thing is it's well-controlled and the Polo GT has good grip and handles predictably at all times. 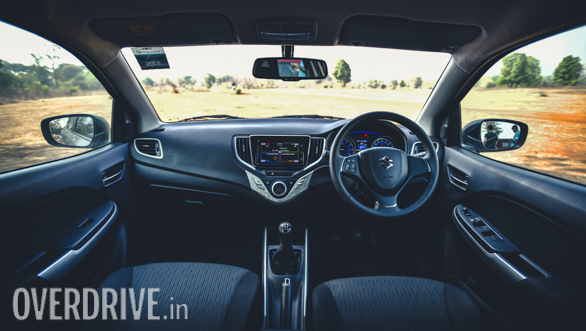 The steering is more direct than that of the Baleno, but both could provide better feedback. The Baleno RS's suspension has been stiffened, and I also get the impression that Maruti has added more weight to the steering. As a result, the Baleno RS turns in smartly and feels more planted than one would have expected. In fact, it handles and corners surprisingly well and this shows how seriously Maruti has taken the performance boost. They have just not slapped in a more powerful motor but have also ensured the Baleno has the suspension and steering set-up to put the power down in a pleasing manner. 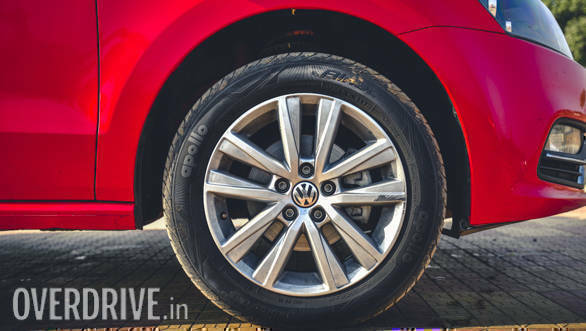 And let me tell you that I never thought I would say this - the Polo GT TSI offers superior ride comfort and does a better job of insulating occupants from imperfections in the road. The ride of the Baleno RS is not uncomfortable, but the fact is you feel a lot more of what the car is going over. The DSG gearbox also makes driving the Polo GT TSI that much more effortless and less tiring, especially in our crowded urban driving conditions. 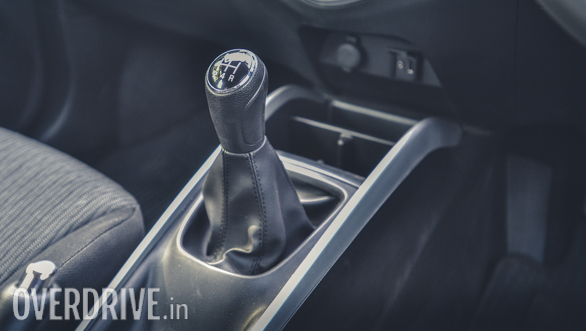 The manual gearbox on the Baleno RS is precise and fairly light, and finding the right slot is never a problem. It also makes it easier to harness the power and hustle the RS, and it's clearly more fun to drive. 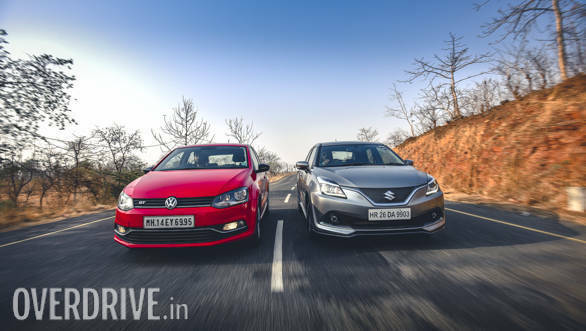 While Maruti has taken a more driver-oriented and sporty focus with the Baleno RS, it seems the aim of Volkswagen has been to provide performance along with more comfort. Interestingly, in our fuel-efficiency tests, the Polo GT TSI returned 15.2kmpl overall and the Baleno RS 15.5kmpl. While the fuel efficiency is nearly the same, there is a substantial difference in price. The on-road Mumbai price of the Baleno RS is Rs 10.35 lakh, while the Polo GT TSI costs Rs 11.03 lakh, which is a fairly big difference. So which one should you go for? Our choice would be the Maruti Suzuki Baleno RS. 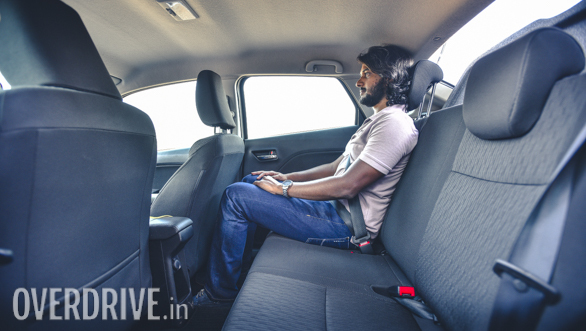 It is more spacious, offers more features and can seat three on the rear seat. 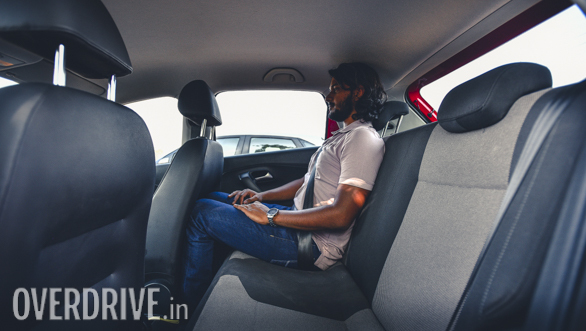 The Polo GT TSI is not only less spacious, but due to its higher transmission tunnel, only two people can sit in comfort on the rear seat. The Baleno RS also comes with a body kit and some external cosmetic changes to distinguish it from the regular one. The Baleno RS is quicker than the Polo GT TSI and handles slightly better too. Given this and the significant difference in price, it would be our choice. 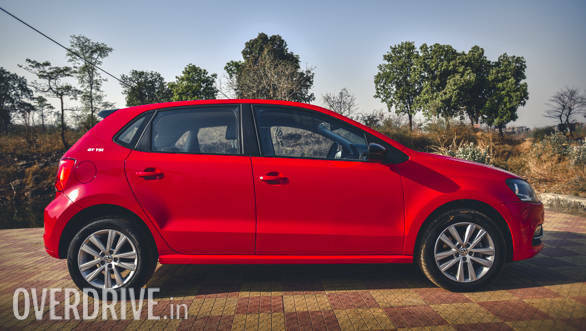 The Volkswagen Polo GT TSI is no doubt a nice fast hatch with some appreciable attributes. 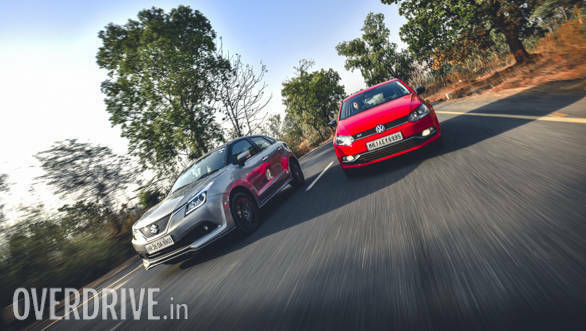 But given the Baleno RS's clear superiorities in several areas, it sadly loses this contest.